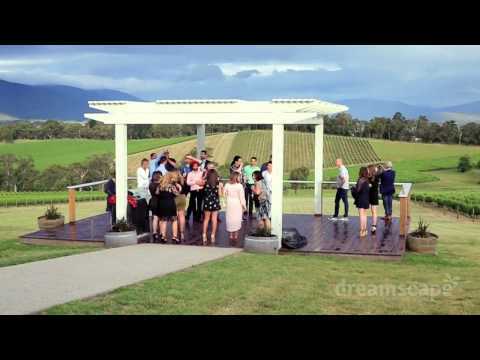 Christmas Winery Functions in the Yarra Valley is a fantastic way to celabrate your end of year Christmas party. Located only 60min from the CBD, transport available. Start the night on the large deck overlooking THE BEST view of the Yarra Valley while enjoying canapes and drinks. Take a seat and enjoy a three course meal with beverage service, and time for dancing or just chatting on the deck. This event is suitable for a diverse range of organisations. Non-exclusive or exclusive packages – Other dates available for large groups. Getting to the Killara Estate is easy! Its 50kms to the east of Melbourne’s CBD, a one hours drive from the CBD just passed Lilydale. Located cnr Warburton Hwy & Sunnyside Rd Seville East, entry via Sunnyside Rd – Mel Ref 285 G9. Plenty of parking on site.